ToyotaCare features 24-hour roadside assistance available at no cost for 2 years from the effective date, for unlimited miles. Also, Toyota-trained technicians will help complete factory recommended maintenance, while keeping a complete history of your service visits. 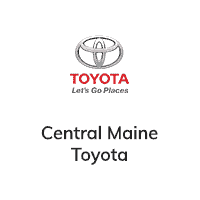 Welcome to Central Maine Toyota in Waterville, ME, your local source for new and used Toyota sales, Toyota financing and Toyota service! Our Maine Toyota dealership has been proud to serve drivers from Augusta, Lewiston and beyond for years, and we work hard to provide you with an exceptional experience each time you walk through our doors. When you shop at our Waterville Toyota dealership, you can also take advantage of our no doc fee policy. We’ll never charge you any doc fees, which means you’ll avoid paying administrative, documentation or dealer prep fees, or be responsible for any paperwork storage, handling and false paperwork charges. Visit our Toyota dealership in Waterville, ME, and you’ll have the opportunity to shop a widespread selection of new and used Toyota models. If you need a new Toyota SUV, check out the Toyota RAV4 or Toyota Highlander to get a family-friendly vehicle with plenty of space. We also have eco-friendly Toyota sedans including the Toyota Camry and Corolla, as well as tough pickups like the Toyota Tundra. If you’re shopping for a used car, you’ll find plenty of affordable used Toyota models, as well as used cars from other top automakers. We even have a selection of Certified Pre-Owned Toyota cars, trucks and SUVs on our lot. Pick your favorite vehicle, and our Toyota financing team will work to secure you the lease or loan you need. Down the road when your Toyota requires service, you can come back to our Waterville Toyota dealership to take advantage of our expert Toyota service and repairs. We can handle all of your routine Toyota maintenance, including your regular oil change, tire rotation and state inspection. We can also take care of brake service, engine repairs and much more! If you need collision repairs, our team can get you back on the road in no time at all. We also use OEM Toyota parts in our repairs to ensure seamless performance. Need more reasons to shop at Central Maine Toyota? When you’re ready, come visit Central Maine Toyota at 15 Airport Road in Waterville, ME. We’re just a quick drive away from Bangor, Oakland and beyond, so stop by and see us today! Central Maine Toyota	44.5423311, -69.6751236.